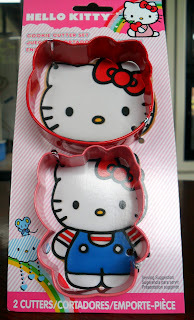 The Unknown, Entertaining Mind of Miss Dena Jones: Hello Kitty Blog Hop Winner!!!! Well, without further ado, the winner of this adorable set of Hello Kitty cookie cutters is poster # 2, Shar!!! I left you a message on your blog, Shar! Please contact me as soon as possible so I can send this way too cute set of cutters to you to enjoy! Thank you again to all of your bloggers who visit my blog. I really do appreciate all of the blog love you leave! Aloha! Ooooooo!!! I am so excited!!!! Thank you Dena! !